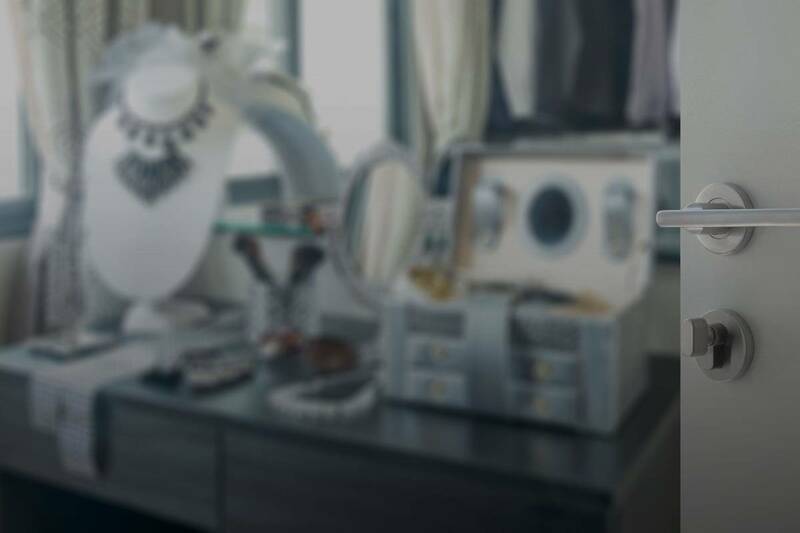 Just like storing other valuables, fine jewelry storage is meant to prevent damage, but also protect items from theft or other unexpected events. We suggest to sort and store fine jewelry according to metal or gemstone materials. By storing like pieces together, you are more likely to preserve jewelry and protects delicate parts. Additionally, consider storing fine jewelry in a home safe to protect and secure valuables from intruders. Learn how to keep your valuables safe at home using these five fine jewelry storage tips. Fine jewelry needs to be stored in a cool, clean, dry place. Exposure to excessive heat or direct sunlight may change the color of certain gemstones and metals. Moisture or humidity also affects fine jewelry by causing harm to gemstones or weakening the clasp. Adding silica packets, like the ones you get when you buy shoes, helps to keep your jewelry’s storage environment dry. Consider what your fine jewelry is made of and store pieces according to materials. Jewelry made of diamonds, pearls and colored gemstones require specific storage specifications. Similarly, different jewelry metals, like karat gold, platinum and sterling silver, need the right storage conditions for long-term preservation and protection. Keeping silver away from other tarnishing metals, for example, helps prevent oxidization and keeps jewelry in wearable condition. Fine jewelry should always be properly cleaned before being stored. Wipe down your valuables after every wear to remove lotions, powders, soaps and sprays. Use a clean, soft, slightly damp cloth to remove body oil and sweat, as well. Always avoid wearing fine jewels while exercising, gardening, swimming or doing housework. Use felt or another cushiony fabric to safely store and protect fine jewels and jewelry. As a product of nature, cultured pearls are particularly delicate. Pearl necklaces, bracelets and other jewelry need to be handled and stored with extra care. And although highly-desired for their durability, loose diamonds and diamond jewelry need soft storage to prevent damage or scratches. Consider a jewelry storage solution that not only prevents damage but also theft. A home jewelry safe lets you properly store fine jewels and protect them in the event of a break-in or natural disaster. Keep irreplaceable or heirloom jewels in a safe that is out-of-sight or tucked away in a closet. Or use a portable home safe to properly protect your jewelry in transit when you’re traveling or temporarily displaced. If you consider each piece of fine jewelry a unique, wearable work of art, be sure to use a safe and secure storage solution to protect your valuables. When not wearing fine jewelry, a storage method like a home safe prevents damage and theft. Learn more about the Cannon Safe brand promise and how you can choose the right safe for your needs. Browse the Cannon Safe home safe collection. Find a national retailer near you today.